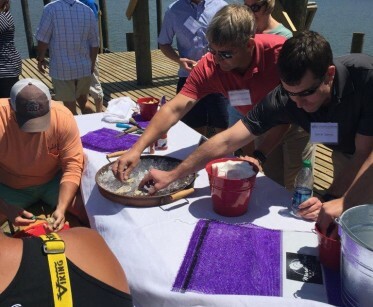 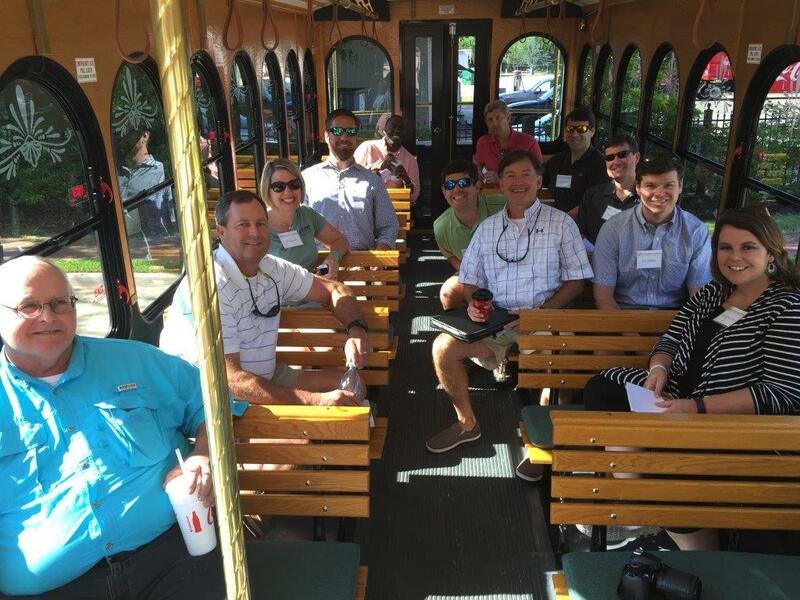 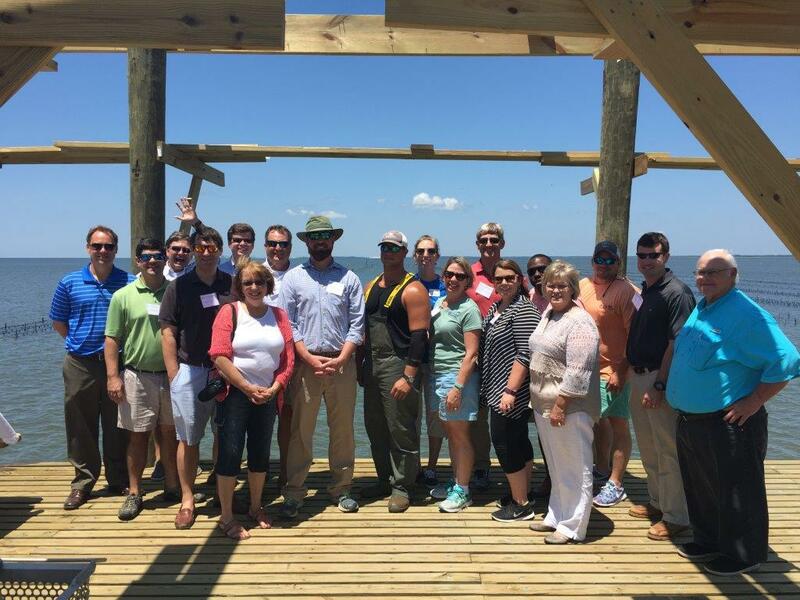 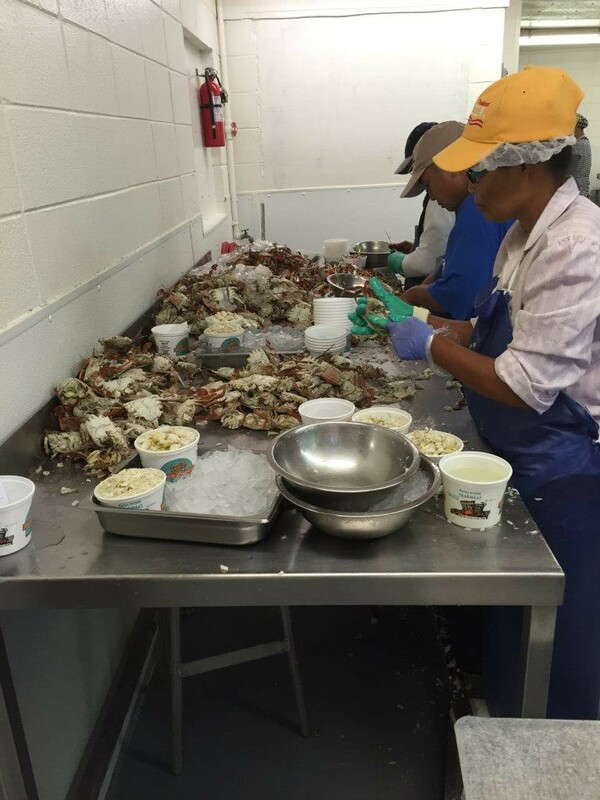 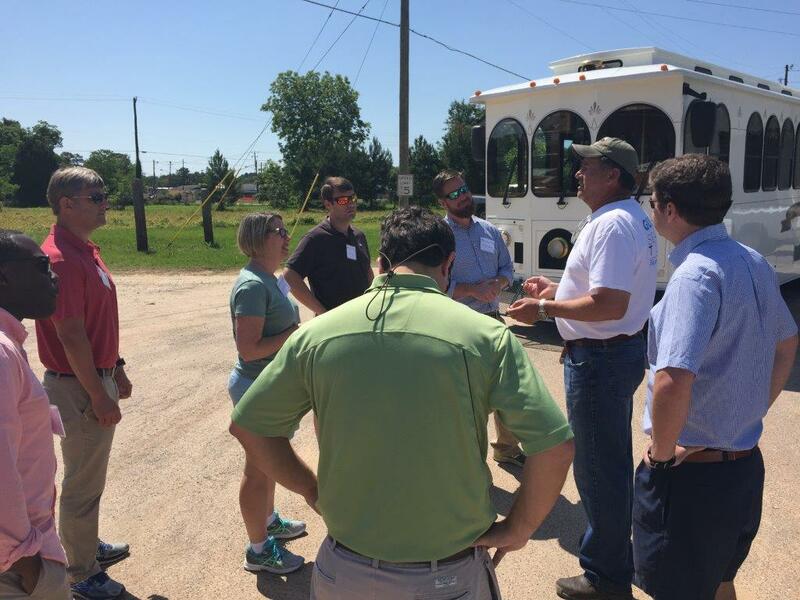 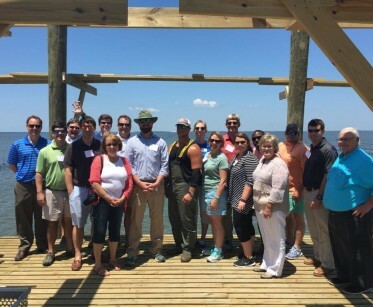 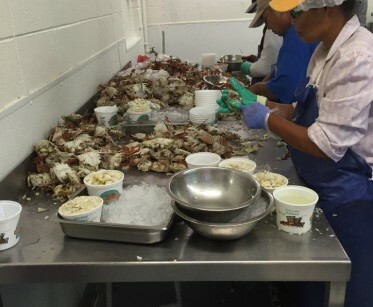 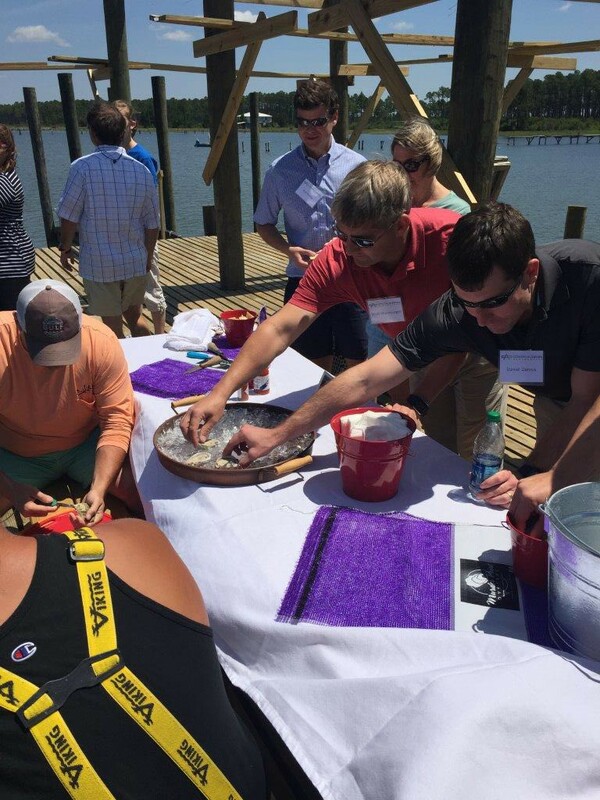 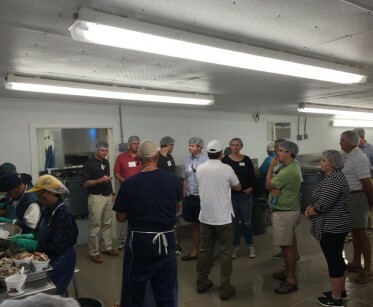 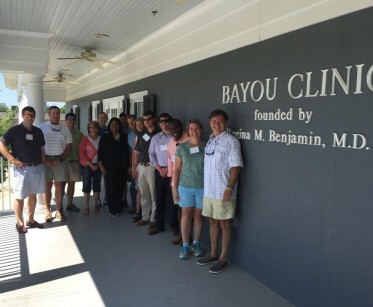 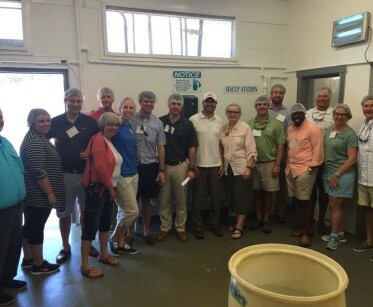 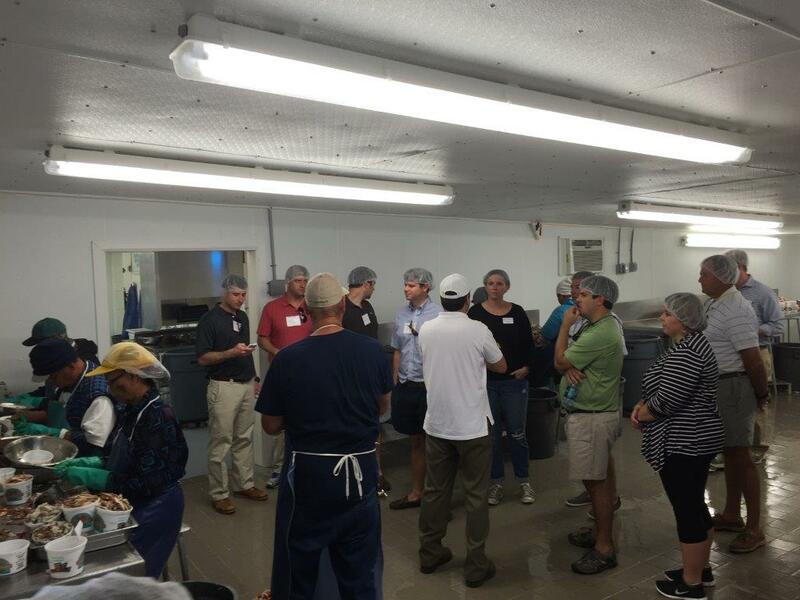 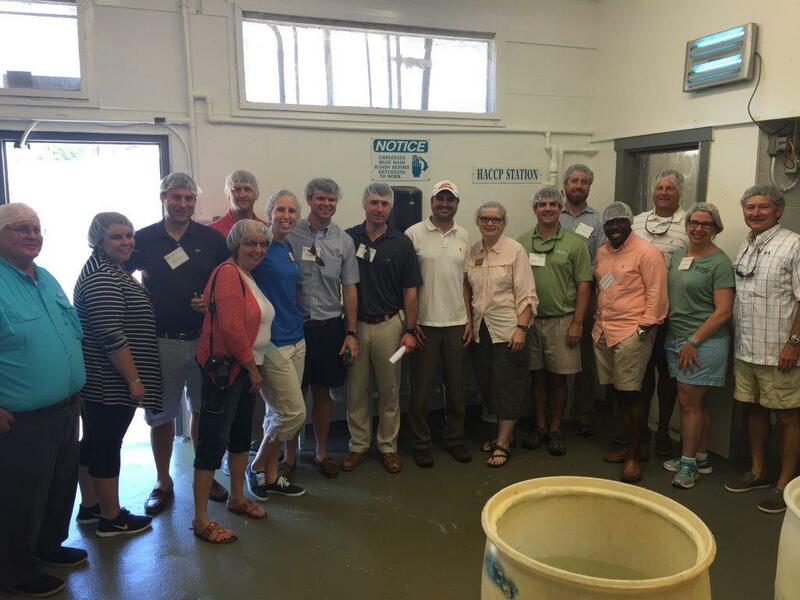 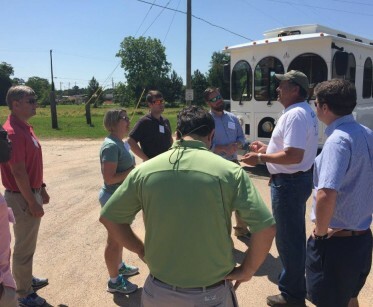 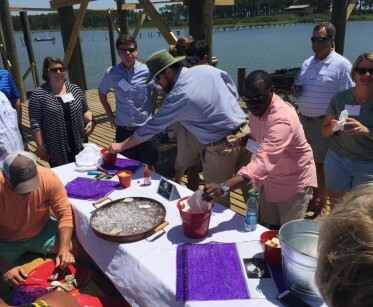 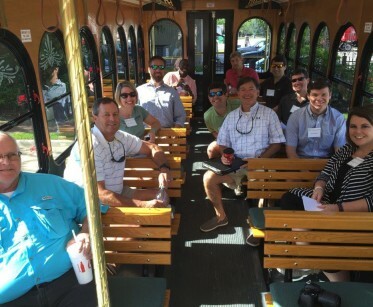 On Tuesday, May 24th, the Coastal Civic Masters class toured Bayou La Batre, seafood capital of Alabama. 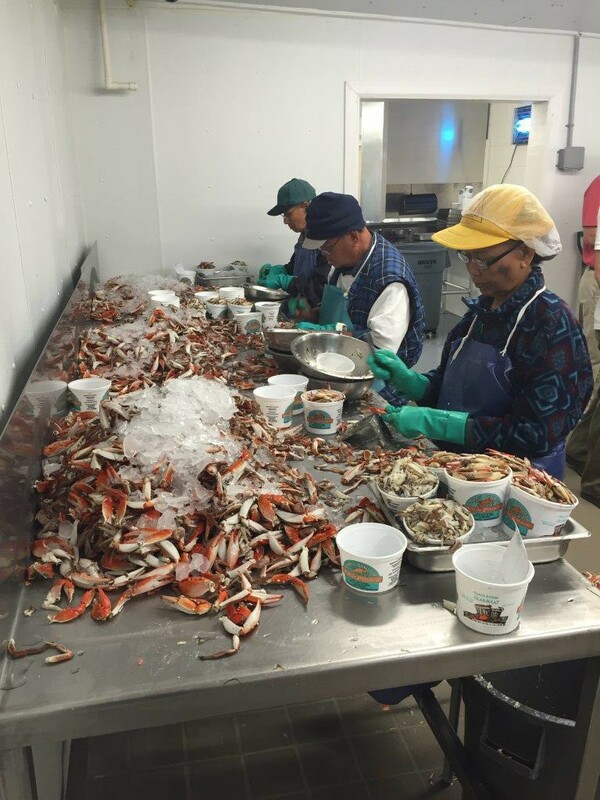 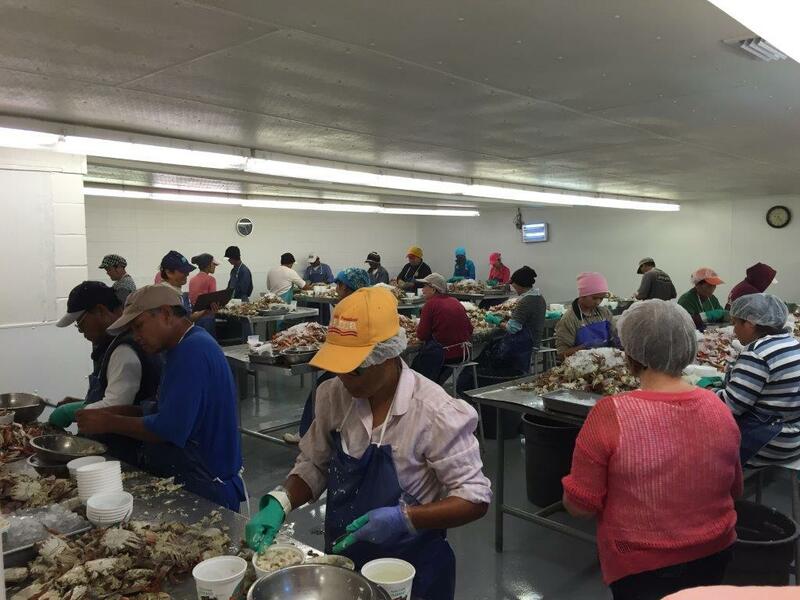 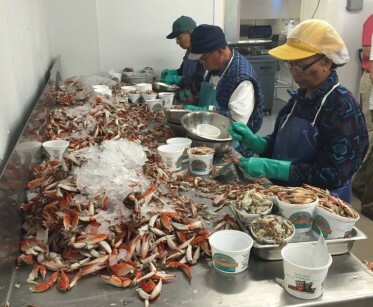 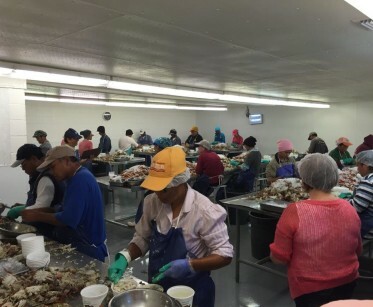 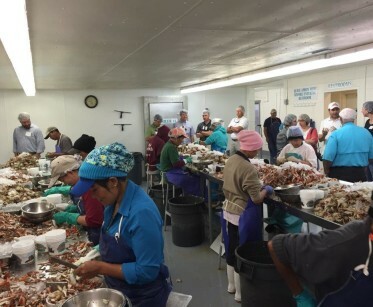 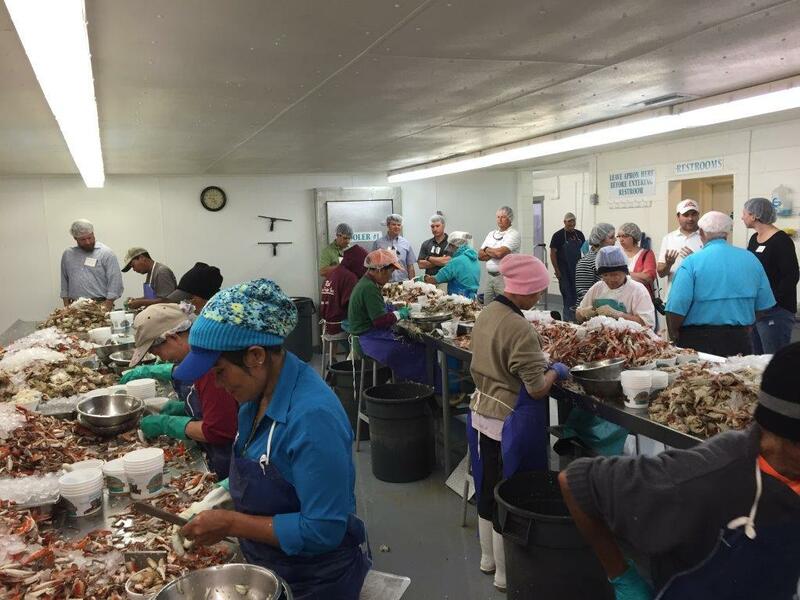 Starting the tour at Olympic Shellfish Processors, the class donned hair nets and learned about picking crabs. 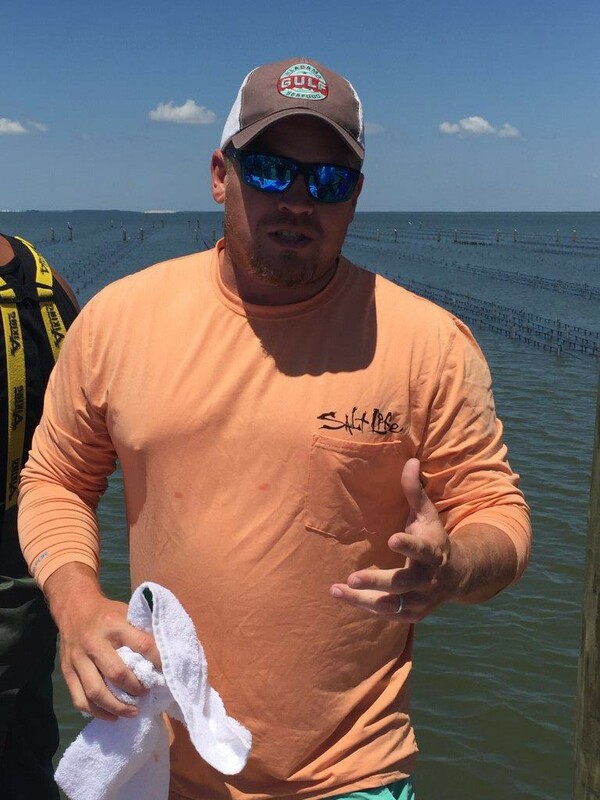 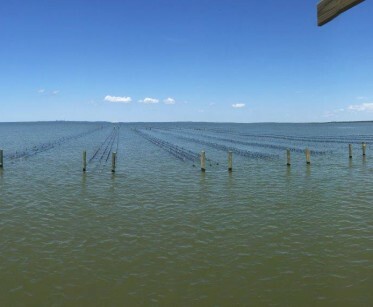 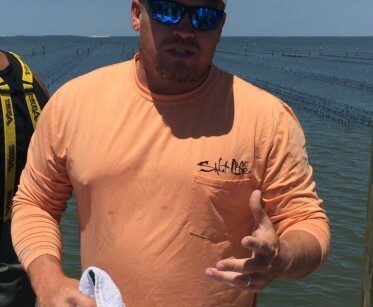 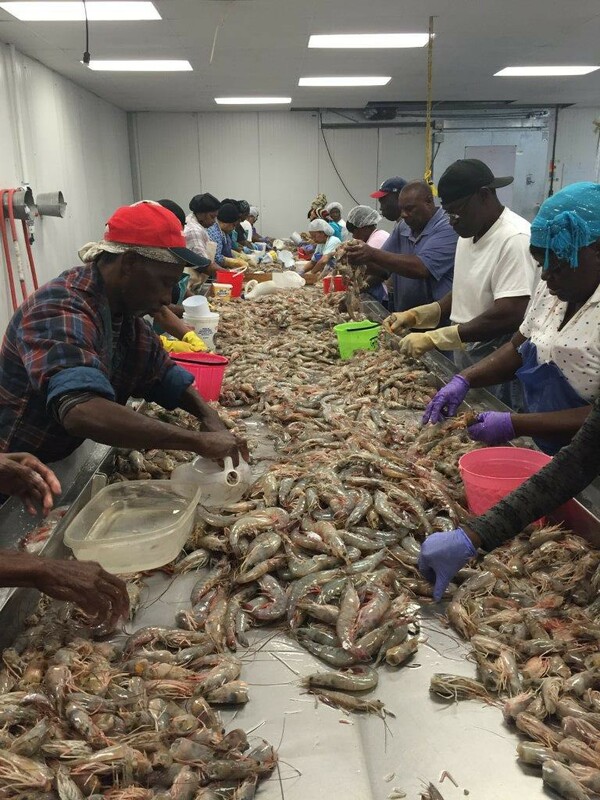 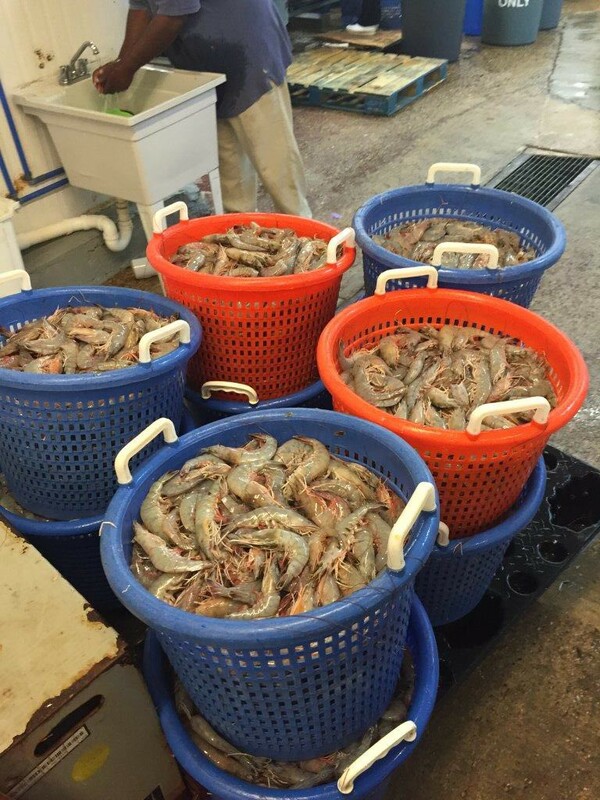 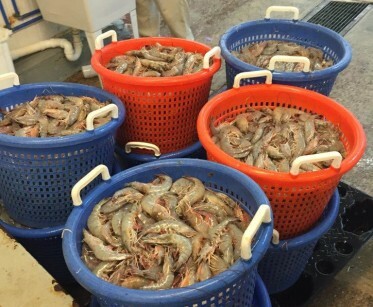 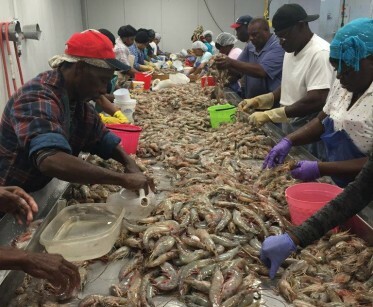 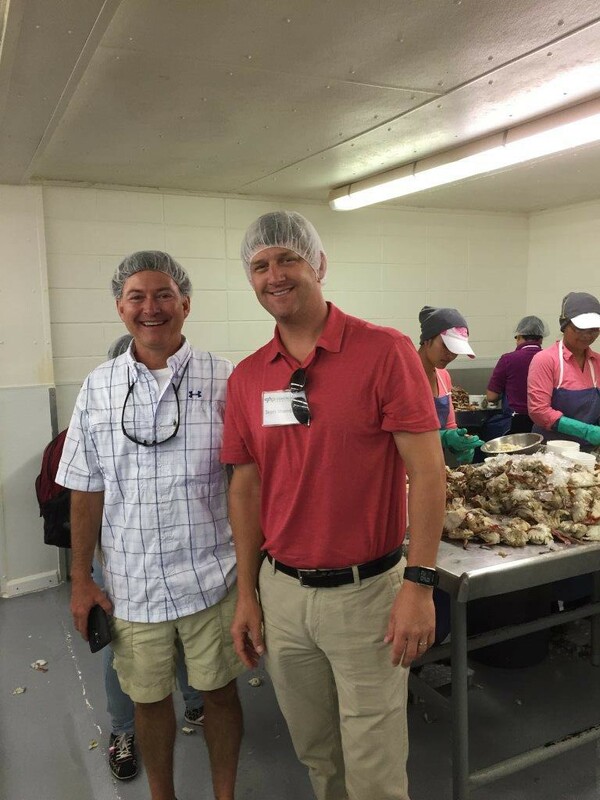 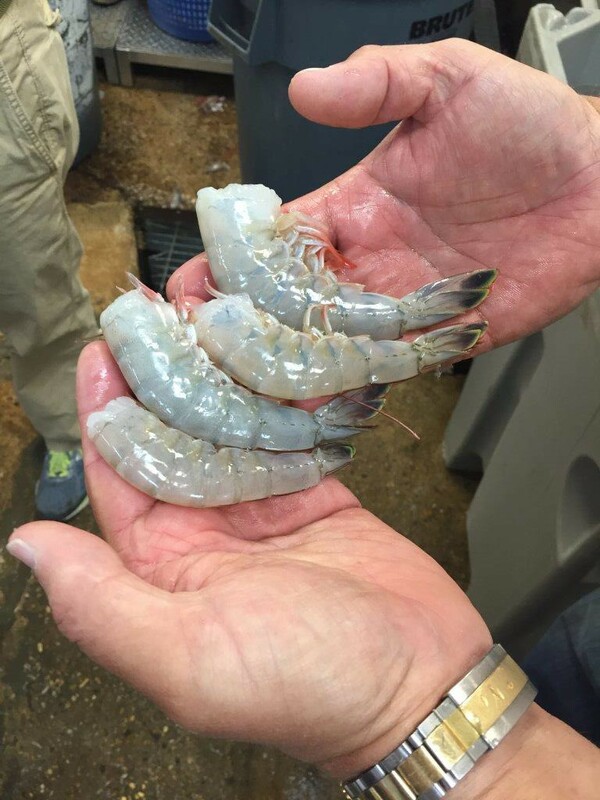 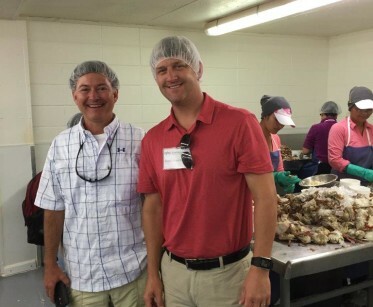 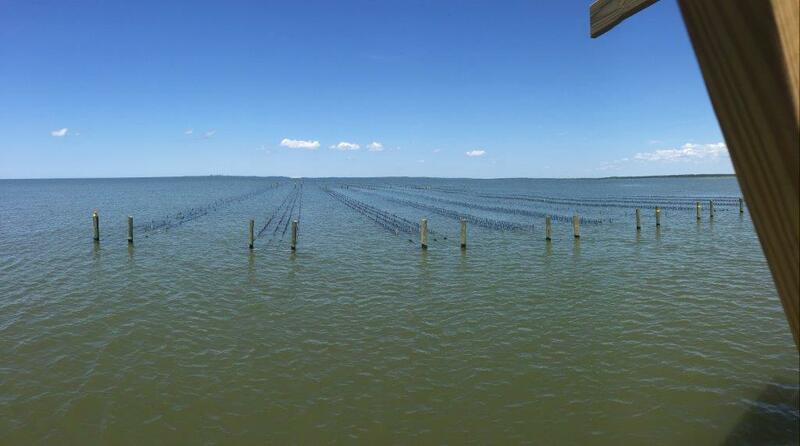 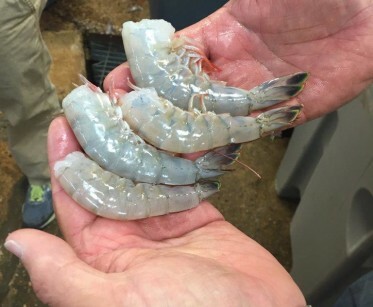 The next stop of the tour was to Graham Shrimp and a tour by Ernie Anderson. 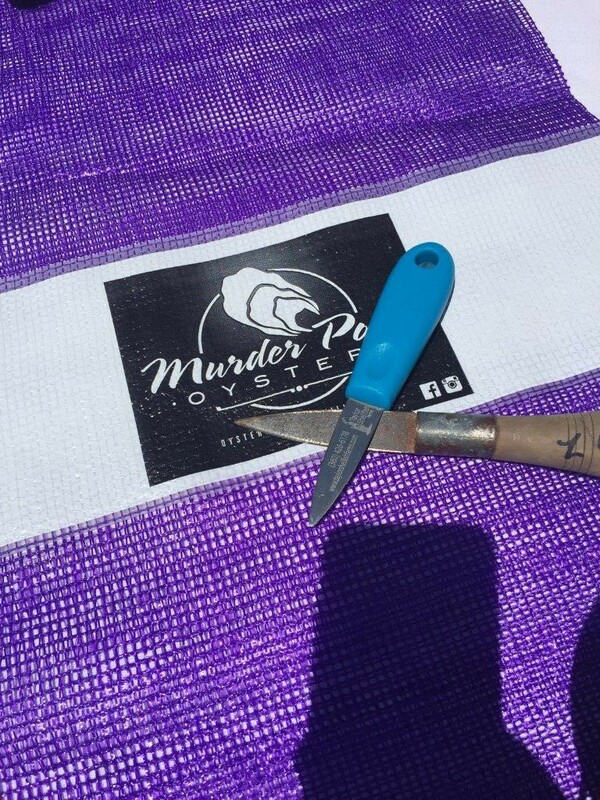 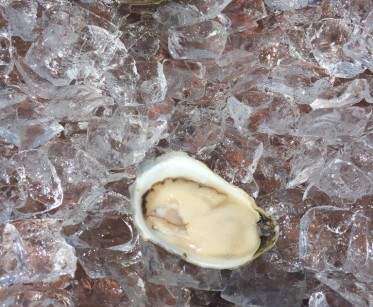 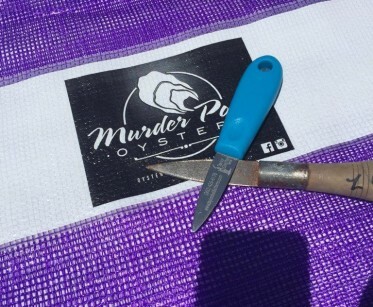 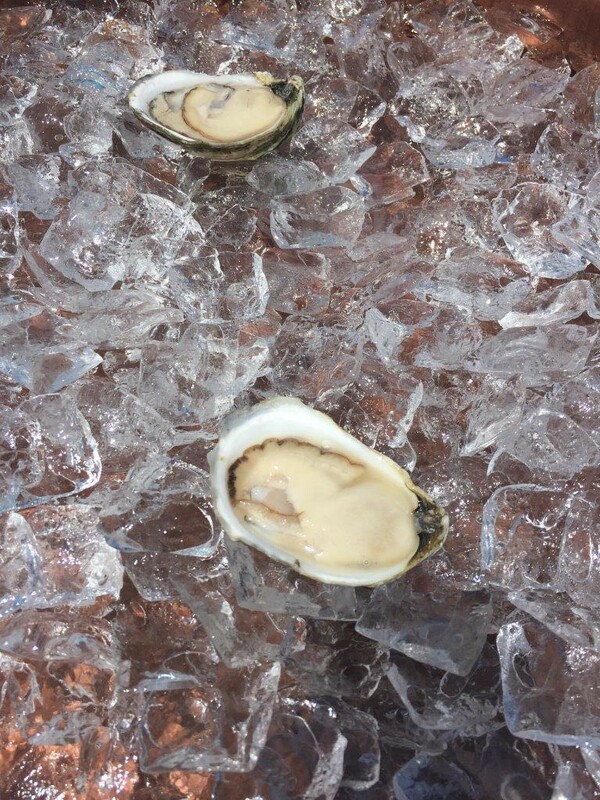 Our last stop of the tour landed the class at the oyster farm of Murder Point Oysters and included a sack of oysters devoured quickly by the class members! 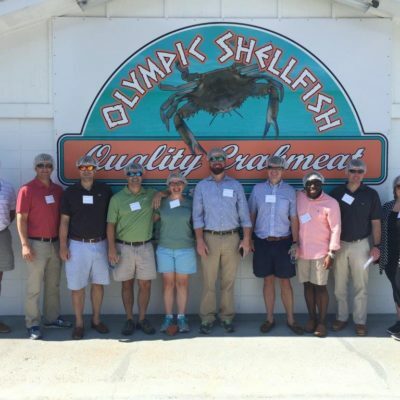 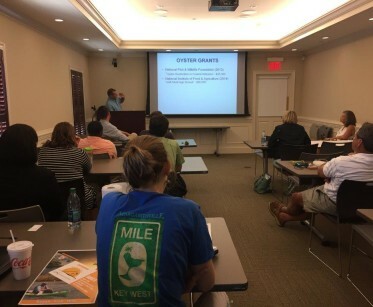 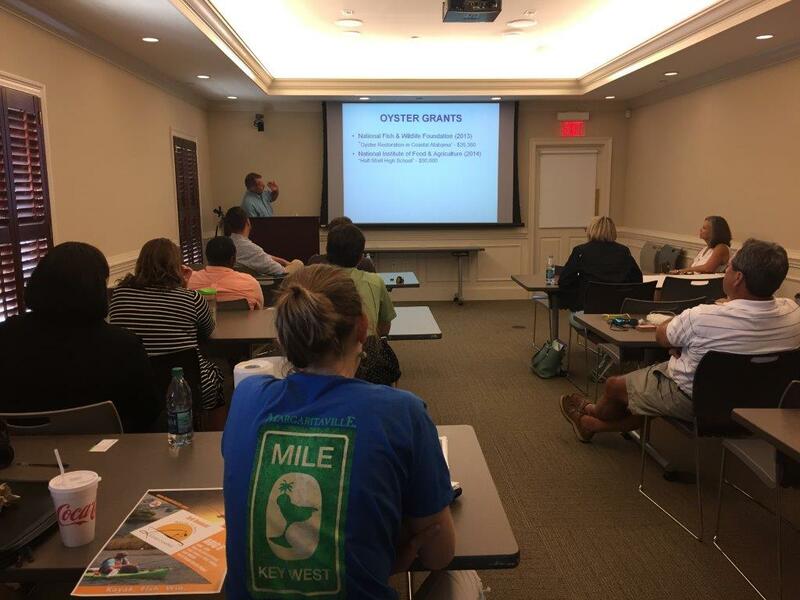 After lunch at the Lighthouse, the class spent the afternoon learning from Julian Stewart of Half-Shell High School program at Alma Bryant High School and from Dr. Bill Walton of the Auburn University Shellfish Laboratory. 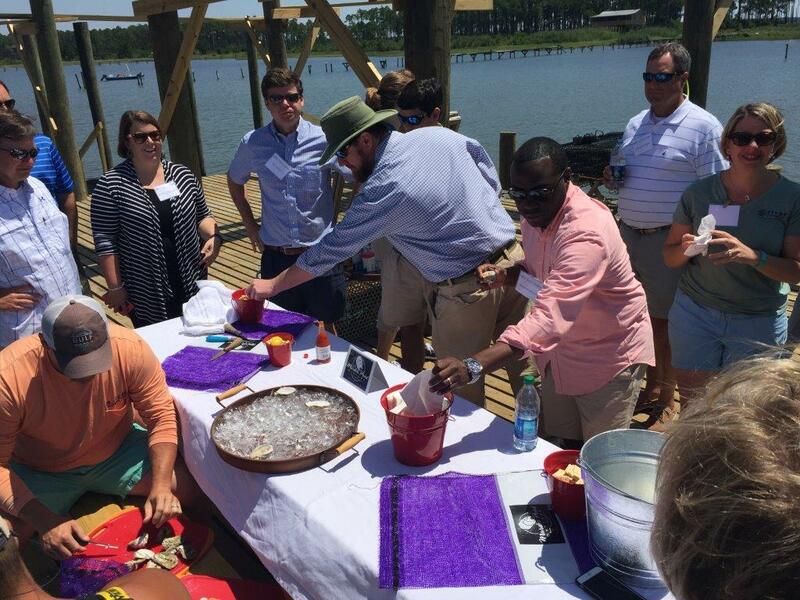 It was a day full of yummy conversation and scrumptious food! 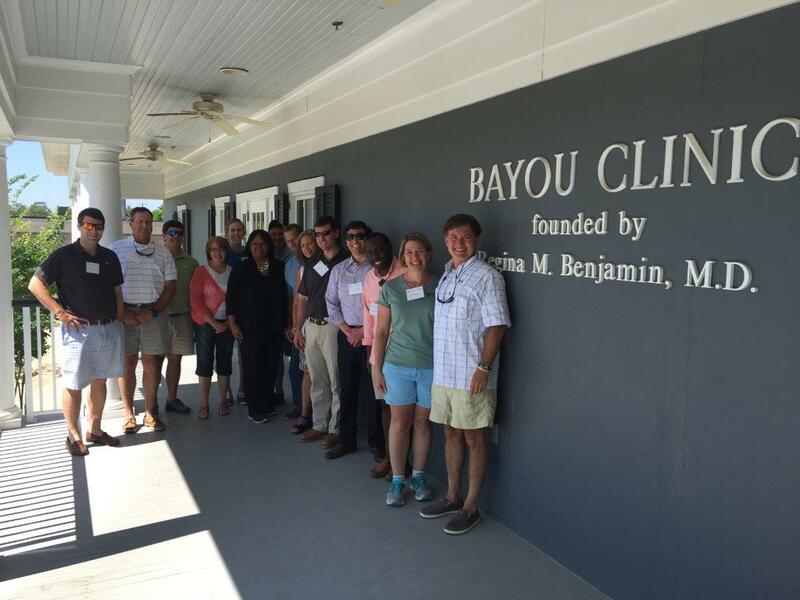 Thank you to our host, the Bayou Clinic and Dr. Regina Benjamin.